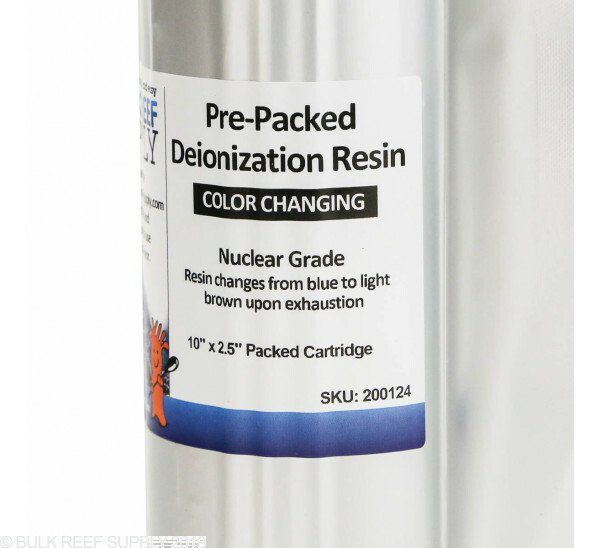 Deionization (DI) Resin is used as the last stage of a RODI system to reduce any remaining total dissolved solids (TDS) down to undetectable levels, making perfect water for reef tanks. Pre-Packed DI Cartridges let you just remove and replace your current DI cartridge without having to repack it with new resin that takes time, and can create a mess. 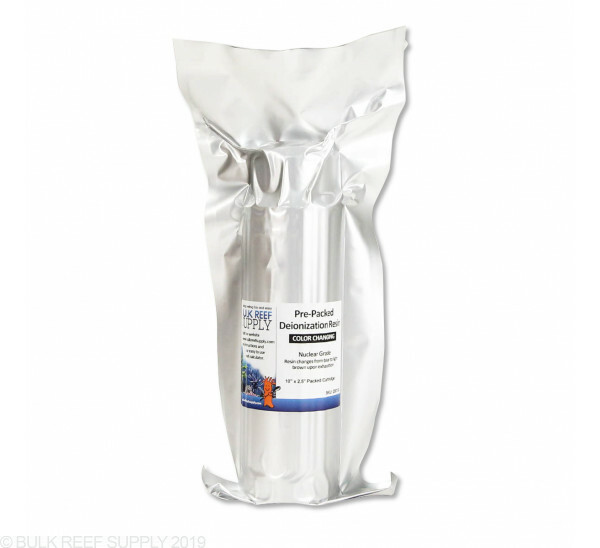 Packing the resin tightly is very important and with our custom DI packing press, we can now offer a superior DI cartridge that will help prevent water channeling through the resin. Our cartridges are compatible with all BRS 75 & 150 GPD RODI systems and also other brands like Spectrapure, AquaFX, Vertex, IceCap, etc. 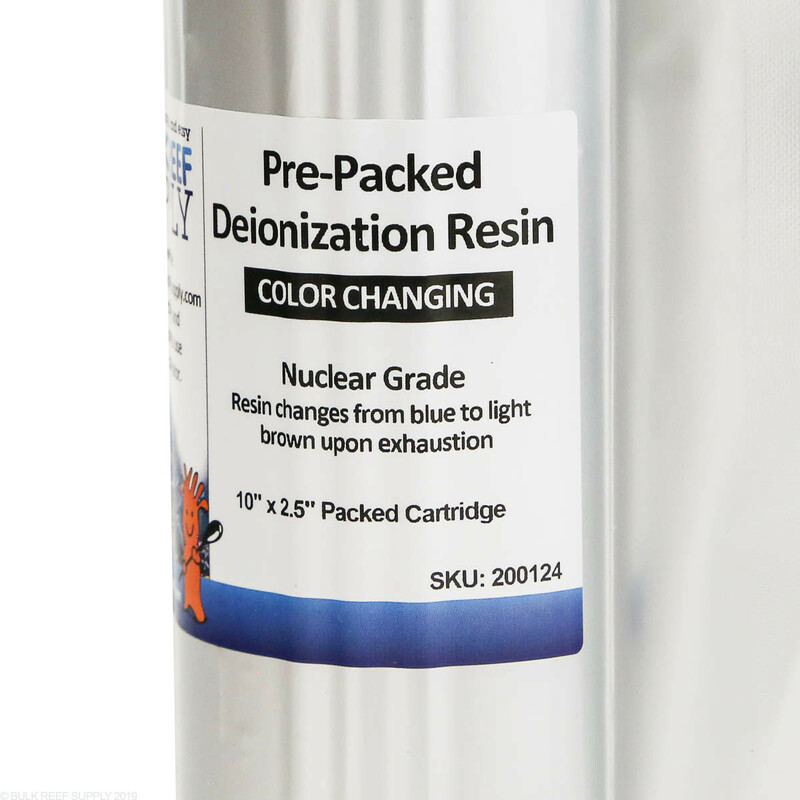 Deionization Resin will start to deplete as soon as it is exposed to air and traditional plastic packaging allows for a small amount of air transfer that will degrade the lifespan of the resin. 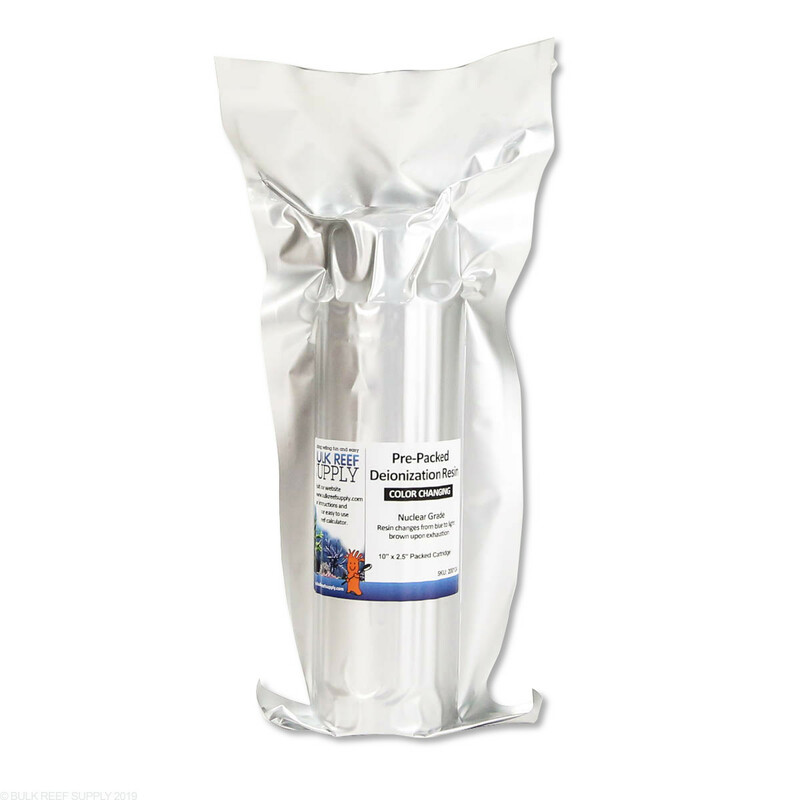 All BRS DI resins are vacuum sealed in a 4mm foil-lined Mylar bag, that removes all the air and keeps it out! With the mylar bags, we have found they keep the resin fresher for longer. Collect the water coming from your RO system in a large container, add a power head or air stone and allow the CO2 to gas off. Then pump the water through your DI resin. When I put the new cartridge in the canister lid didn't fit. Turned out the bottom of the cartridge was not screwed all the way in so I had to take out some media and snug it down. Difference in length was about 1/4." I'll keep buying these things because I don't use enough to make bulk savings worthwhile, but I wish I could send back the spent cartridge to be refilled. Hate to just toss them. Do you have the prepacked di resin with a 6 stage replacement package ? Thanks for reaching out. We do not currently offer a pre-packed DI resin option for the pro series but I know it is something we are exploring as an option. Is this cartridge compatible with Spectrapure CSPDI 90 GPD filter? Yes, if your system uses standard 10" Canisters then it will be compatible. Is the canister of this product reusable? ie: once depleted can I empty it and refill it with more color changing resin? Great question! Yes once the resin has exhausted you can refill this cartridge with a new bag of our DI resin. Let us know if you need additional information. Thanks! There is a slight difference in efficiency that benefits the non-color changing resins, but the performance change is negligible. 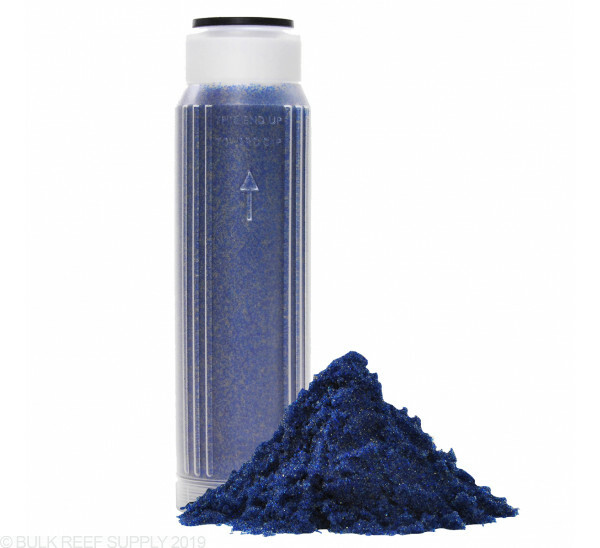 We have found that the color changing resin usually yields better results since it gives you a reminder to look at your TDS meter when the color starts to change. Is this a quick connect / disconnect inline filter? What is the estimated shelf life for pre-packed DI resin? The shelf life for the mixed DI resin would be 2 years. Have a great day!